Free study opportunities to obtain a globally sought after qualification in the manufacturing sector are now available to qualifying students in Cape Town. Prospective applicants will be selected in the mother city over the next two months for tool, die and mould making training as part of the Intsimbi National Tooling Initiative’s (NTI’s) TDM Powered Foundation Programme. 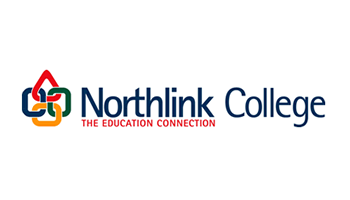 The Programme will be presented at the Wingfield Campus of Northlink College, Goodwood in 2015. The Foundation Programme is registered as skills programmes; Toolroom Assistant with merSETA, the Education and Training Authorities’ SETA established to promote skills development in Manufacturing, Engineering and Related Services. Dirk van Dyk, a director of Intsimbi NTI, says the training of sufficient skilled people for the tooling industry is of critical importance as manufacturing is one of the cornerstones of the South African economy. Manufacturing provides consumers with virtually all products that they use in everyday life and creates economic growth, employment and wealth. In order to produce high quality products at affordable prices, manufacturers rely on advanced technology and highly trained people, provided by the tooling manufacturing industry, to produce the tools, moulds and dies required for the manufacturing process. “South Africa is currently experiencing a critical shortage of technically skilled people in the tooling manufacturing industry. This obviously has important implications for the manufacturing industry and continued growth in the country” says Van Dyk “The TDM Powered Skills Development Programme, a partnership between the Toolmaking Association of South Africa (TASA) and the Department of Trade and Industry (the dti) is a strategic growth stimulator for manufacturing and technical skills development and aims to create a significant number of job opportunities for South Africa’s youth”. TDM Powered Foundation Programme is a one-year programme and provides students with the basic skills in the tool, die and mould making disciplines to enable them to qualify as Toolroom Assistants. Once qualified, students can pursue careers in cross cutting sectors such as the aerospace, automotive, chemical, electronics, leisure, marine, medical, mining and packaging industries. The learning content of the Foundation Programme is structured to include fundamental and applied theory, trade theory, workshop practical training and on-the-job training, providing students with extensive industry exposure and experience. Students receive a small stipend during Phase 3, the workplace on-the-job training phase, to support them with transport costs to the companies where they receive their on-the-job exposure and training. More information and application forms are available from Ms Nonofu Leburu on 076 163 5677 or email: [email protected]. For general enquiries, please contact the TDM Powered Office on 071 675 3551, visit the website www.tdmpowered.co.za or e-mail: [email protected]. Article issued by Northlink College. To view their profile on SAstudy, click here.